There are 45 reviews of Cool Water Woman. This is the stereotypical fresh, blue frangrance (with all its ozone) going towards something sweeter (watery fruit/vegetable). Unisex in my opinion, with average performances. I really love this fragrance on a Woman. I really do!! Maybe it reminds me of when I was in my prime?? It is surely nothing spectacular and is almost quite generic but I find it very feminine and quite seductive. The initial citrus fruitiness, with a prominence of unripe lemon on me, gives way to white floral notes, with lily-of-the-valley in the foreground in the drydown. Later a nonspecific woodsy impression emerges, with a fruity vetiver signifying the final stages. A spring scent that is not bad, but too synthetic and its components too generic to enthuse. 2.5/5. I took a very long, and much-needed break from this little blue bottle. I had to, or I would have never been able to look at it again. I wore it so often in the late 90's, that I swore I'd never touch it again. But, I felt nostalgic this week, and so I purchased a small inexpensive bottle for old-time's sake. And I'm glad I did. Ok, so I have more refined taste now. Does that mean I can't go a bit more retro and enjoy something I once thought was delightful? Can it not still give me an olfactory jolt? Of course it can! It cannot compete with some of my more elegant choices, but it has its place, and I'm glad to bring it back to my wardrobe. I think for a while I've thought that if I "graduated" to big girl fragrances, perhaps I had to leave all the old behind. What I realize is I don't really want rules, as I am unlikely to follow them anyhow. Maybe it's an association thing, but this scent will always remind me of cool fall evenings in Wilmington, NC on Wrightsville Beach. I lived there for a while, and that's when I began wearing this. I think of the beach, and until recently, I never knew it contained any melon. Now, I'll be trying this with a more learned nose...this could go either way. I've only sniffed it, as I was already wearing something else when it arrived today, but I'll add more once I give it a proper wearing. I got a sample vial for my 40s wife because I had read some good reviews and some friends rave about it, and was unimpressed. I realize that it's light, but it's too light. It's almost like paying for expensive water. I'm being generous about the neutral, only because I guess for what it is, might find a place in some peoples' collections. Not ours. Still on a search for something similar with a bit more reasonable projection and longevity. I would at least strongly advise an actual skin test for a day or two before you buy this one to be confident in your purchase. Cool Water Woman ranks as my least favorite fragrance in existence. I've tried to like it, been terrorized by near and dear's daily wearings of it, and have no recourse to criticize those wearings because it's "inoffensive" and "nice." No, but there is so much nicer to be had! Nearly anything has more character. Hygienic sportiness is done better by classic chypres and greens. Rather than these chlorinated coffee shop chain fruit cup concoctions, why not iris, mint, lavender, or simple citrus cologne for a refreshing fragrance theme? Cool Water Woman's melon or calone dominant note is fuzzy and large like an orange cartoon beast in the corner who is trying to hide behind fables of beach scenes and waterfalls. All I smell here is fermenting fruit salad. The various lotus and water lily notes only add to a strange, stagnant poorly-tended swimming pool tone. With images like that evoked, I'd think this could at least be an interesting fragrance, but it's not; it's just trying to be clean but coming off as rotting. Fresh and clean aquatic scents appeal to many in hot weather, but please at least go light on the trigger with this one. A little dab will do. Many perfumes I love are not well-liked these days: they're old-fashioned. Cool Water couldn't be old-fashioned; merely outdated, and that's after less than two decades. The fragrance equivalent to shag-carpeting, though released two decades too late in the null 90s (if only it never had been released). If you really like aquatics, Missoni Acqua does everything Cool Water purports to do but with more style and at close to the same price. There are no member images of Cool Water Woman yet. Why not be the first? 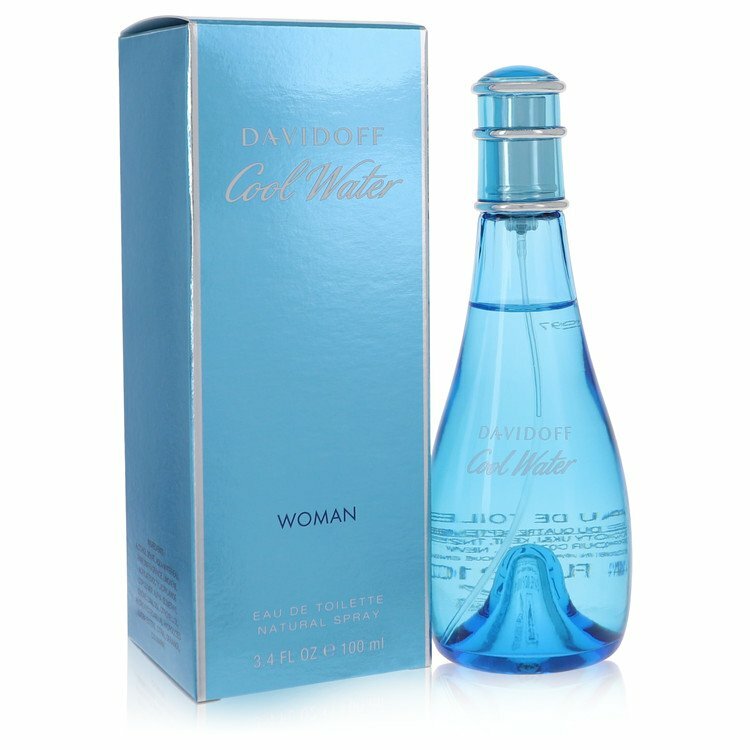 NEW: Davidoff - Cool Water Woman Sea Rose Pacific Summer Edition For Women! 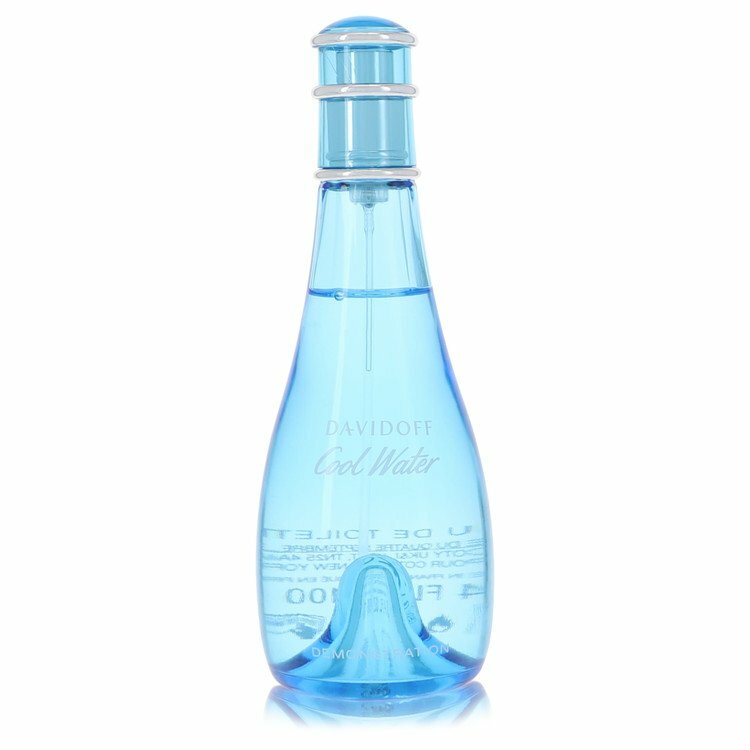 NEW: Davidoff - Cool Water Woman Pacific & Sea Rose Pacific For Women!